Allow us to start with summery of what architecture looks like today. The two most significant trends in architecture since 2000 are the growing Eco-friendly awareness – the Green Architecture and the growing influence of computers and new technologies – the Digital Architecture. Those two tendencies blend in and complete each other to define the parameters and the future of Architecture. Whether it is in your home, office, school, university, hospital, library, gym or mall – we spend an essential part of our day indoors. Buildings have impact on people’s behavior, mood, productiveness and even health and inspiration. Buildings are not just shelters anymore. Today’s architecture is questioned about how Eco-friendly it is, how it serves the community. It is also an expression of style and uniqueness. Above all it inspires, conveys a message, represents believes and culture. It is no more just a building. But it is a place that aspires to create, to think, to feel. As a result, the building becomes the connection between nature and day-to-day life. The focus falls on the meaning of the building. Is it there to bring people together or to separate them? Is it creating an atmosphere that predispose to creativeness and productiveness? Buildings bring in nature, culture and history in the center of big modern towns. It’s an age of rediscovering the potentials of a building. People now are involved and opinionated about the surrounding architecture. We live in a fast developing world where social media and smart phones create a global conversation about buildings and empower people to share these opinions. As a consequence, people now have the power to influence global perspective and shape up the realms of Architecture. Social media also empowers architects. It gives them the power of knowledge. They know in real time people’s desires, wishes and views about how a building should look like and be, what a building should represent and how it should interact with the environment. Social media gives them new ideas. It inspires them to seek solutions to nowadays pressing issues. They have the know-how of how to design buildings according to all those new trends in architecture. Furthermore designers have the knowledge and the vision to create greener, smarter and friendlier buildings taking into consideration at the same time what the public and the individual wants. Smart phones, computers and tablets are not the only technology that define Architecture today. Computers and software transform ideas into reality by creating photo-realistic visualization of the ideal office building or the dream house. But what breathe life into a vision is 3D printing. 3D Printed High Detail Architectural Scale Model. With 3D printing we are entering new age of architecture that will define our future. In particular 3D printing gives a holistic perspective of a project and as a whole brings the Architectural revolution to new levels. We live in a complex world. World of constant interaction. A world where time is one of the most valuable commodities. We live in a dynamic world – everything is now. There is no patience and tolerance for waste of time. 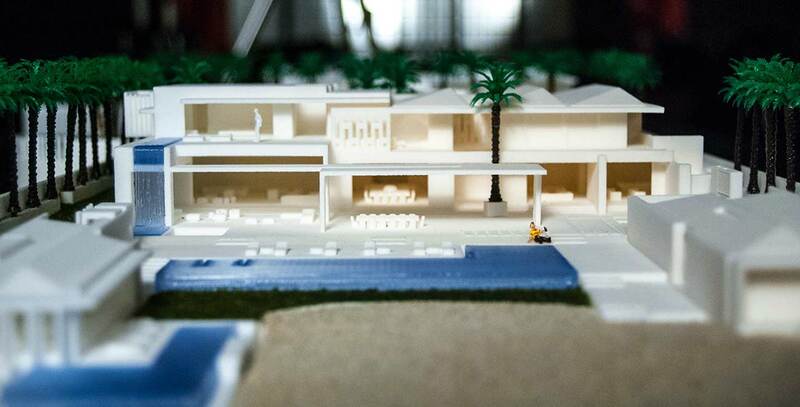 3D printing technology helps architects by bringing in flexibility, immediate understanding, time and cost saving. My 3D Concepts empowered by 3D printing has the tools and knowledge to help respond effectively and efficiently to all those trends. There is no need to seek different places for different solutions. 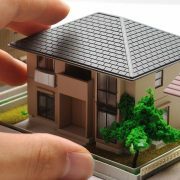 We combine 3D Modeling, 3D Rendering, Photo Manipulation and 3D printing to create the perfect digital and physical visualization of your project. We translate ideas into reality. With its endless possibilities 3D printing allows us to transform a two-dimensional on screen visualization into exact model of the building that can be seen from different perspectives with the surrounding landscape; that could be taken apart floor by floor, that can be designed and organized. These technology allows easy and fast modifications, error corrections and adjustments. It brings fast and easy understanding of the project. All that within hours. You do not need to build a whole house to be able to get a feel of the space. In a matter of days we enable you not only to see, but also to hold your idea. Here at My 3D Concepts we help you materialize your vision. KIDS AND 3D PRINTING: THE FUTURE OF HUMANITY AND THE FUTURE OF MANUFACTURIN... SHOULD YOU OUTSOURCE 3D RENDERINGS AND SCALE MODELS FOR YOUR PROJECT?